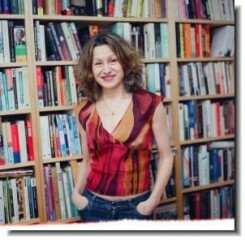 Lesley Downer is an author, novelist, journalist and occasional broadcaster. 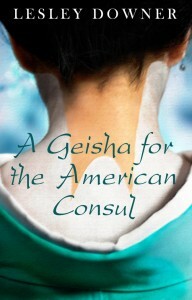 She has just finished the fourth in The Shogun Quartet, her quartet of novels set in nineteenth century Japan during the fifteen years when the country was convulsed by civil war and transformed from rule by the shoguns into a society that looked to the west. 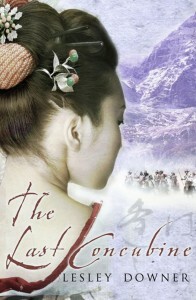 The Shogun’s Queen, to be published November 2016, is a prequel, chronologically the first of the four. It begins in 1853 with an event every bit as shocking as if Martians were to invade Earth: the arrival of four monstrous Black Ships spouting smoke and manned by hairy-faced giants – Commodore Perry and his American troops. 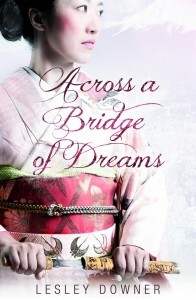 It’s the true story of Atsu, plucked from obscurity at the age of twenty in a brave attempt to save Japan and sent to the Women’s Palace, where three thousand women live and only one man can enter: the shogun. 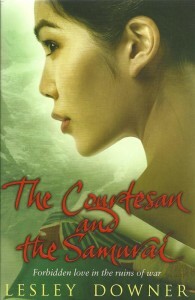 The second novel of the quartet, The Last Concubine, was shortlisted for Romantic Novel of the Year 2009 and translated into 30 languages. 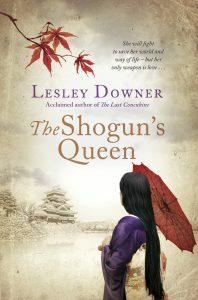 Lesley has also written two more novels, The Courtesan and the Samurai and The Samurai’s Daughter, and non-fiction, including Geisha: The Remarkable Truth Behind the Fiction and Madame Sadayakko: The Geisha who Seduced the West, the story of the model for Puccini’s Madame Butterfly. 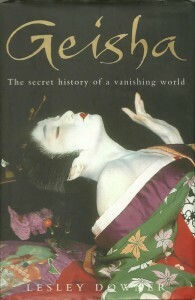 Lesley is also a journalist and travel writer, gives lectures and teaches Creative Writing at City University in London. 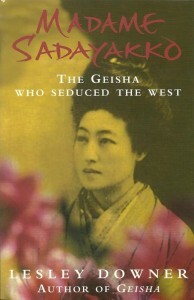 She writes book reviews for the New York Times Book Review, the Literary Review and the TLS and the occasional feature for the Sunday Times Magazine.